Virtual Reality is not an easy thing to get right, mainly if multiplayer is involved, factors such as framerate, ease of control, graphic fidelity and longevity, amongst other things, all contribute towards wheatear a game can translate well into VR. Thankfully, Ubisoft Montpellier has done a fantastic job in bringing their multiplayer-focused, arena shooter, Space Junkies, to life on PlayStation 4 and the PSVR platform. Space Junkies is an arena shooter that borrows elements from series greats, such as Quake and Unreal Tournament, while still managing to keep things feeling fresh and exciting. 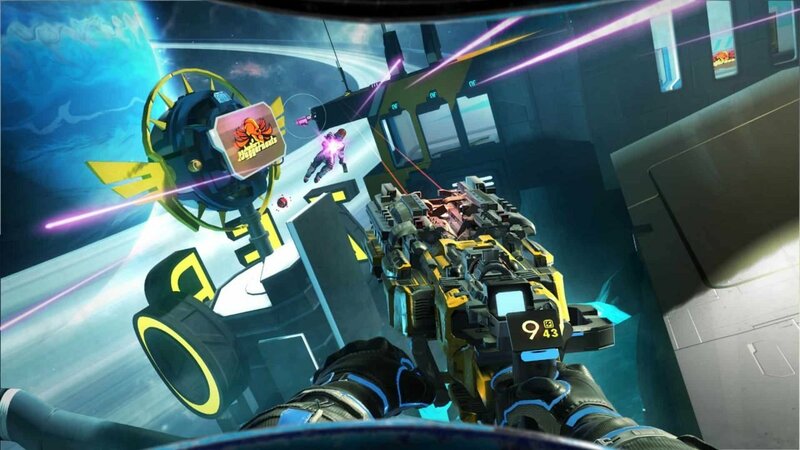 Of course, the fact that Space Junkies is a VR game does help the title stand out but more importantly, Space Junkies put simply, is an inherently fun game to play. Like the classic games it draws inspiration from, Space Junkies keeps things relatively intimate, opting for smaller maps that can feature up to 4 players, spread across your typical selection of game modes, such as death match, team death match and king of the hill. What makes Space Junkies appealing is the nuance of control and personality the game strives for. 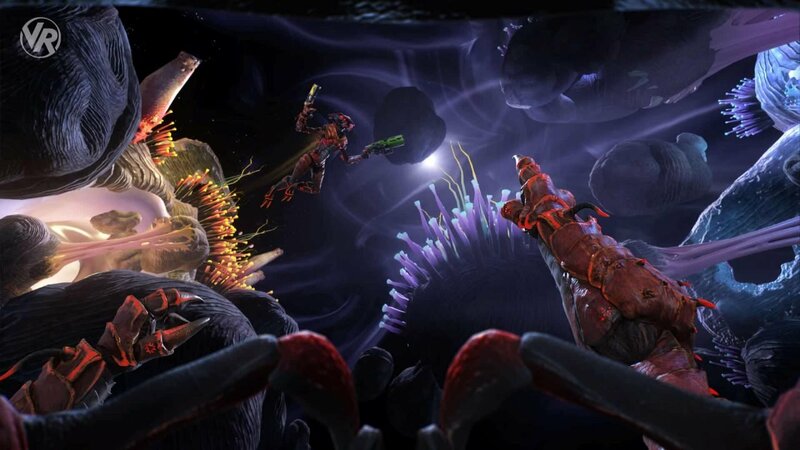 Starting with the controls, Space Junkies, as the name may imply, takes place in outer space, meaning all movement feels more akin to flying, as gameplay takes place in zero gravity. Having spent some significant time with VR, one thing I’ve come to notice is the fact that zero gravity tends to be quite favourable when applied to a VR title. I’m not the biggest fan of VR titles that require teleportation to move or stitled, half steps rather than free control but I do realise that for many, standard movement in virtual reality can be quite unpleasant. Zero gravity (as long as it makes sense thematically) is a great fit, as it gives players a level of freedom that feels uncompromised but still slow enough where players can ease themselves into it, gradually building up their tolerance as they play. Nevertheless, Ubisoft still eases players into the game with a short but concise tutorial before plopping them into the central hub area of the title. Tutorials tend to be slow and uninteresting; thankfully, Space Junkies’ features an enthusiastic narrator that helps bring the game together, while imparting to it a level writing reminiscent of titles such as Ratchet & Clank and Ubisoft’s own Raving Rabbids, off-shoot series. The heart of a good arena shooter lays within its arsenal and Space Junkies offers a decent selection of guns, including everything from swords to pistols and machine guns. My personal favourite and recommendation for new players would be the gatling gun, as it offers a nice weighted feel along with a reasonable windup that guarantees a kill or two if appropriately timed. 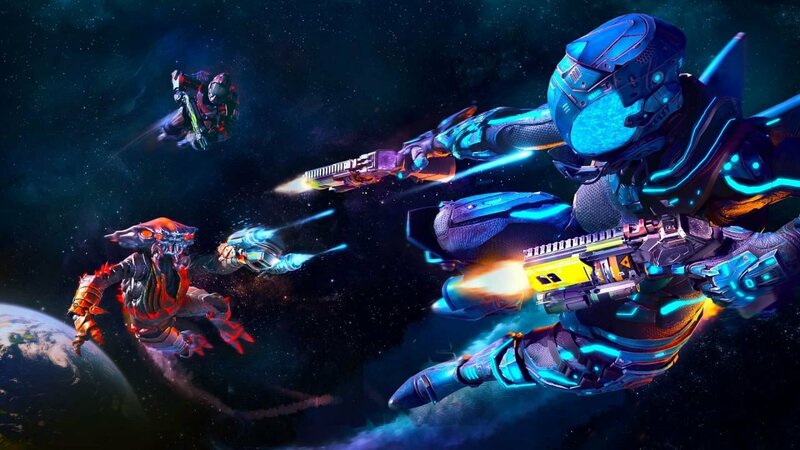 One modern convention Ubisoft has brought to Space Junkies that I must give them credit for, would be the inclusion of (free) unlockable cosmetic items, such as player banners which feature unique patterns and art from other Ubisoft titles. My biggest fear with Space Junkies is one that of longevity, right now the game is pretty lively and I tend to find other players almost immediately but with the smaller selection of maps and weapons, Ubisoft will need to think of ways in adding to the title as it matures or risk a diminishing pool of players. On a brighter note, during my time with the title, I noticed PC players entering the lobby; hopefully, this equates to newcomers always having a pool of players to battle with. Time will tell whether or not Space Junkies can stand the test of time, ideally maturing into a game that can live up to the games it borrows from. 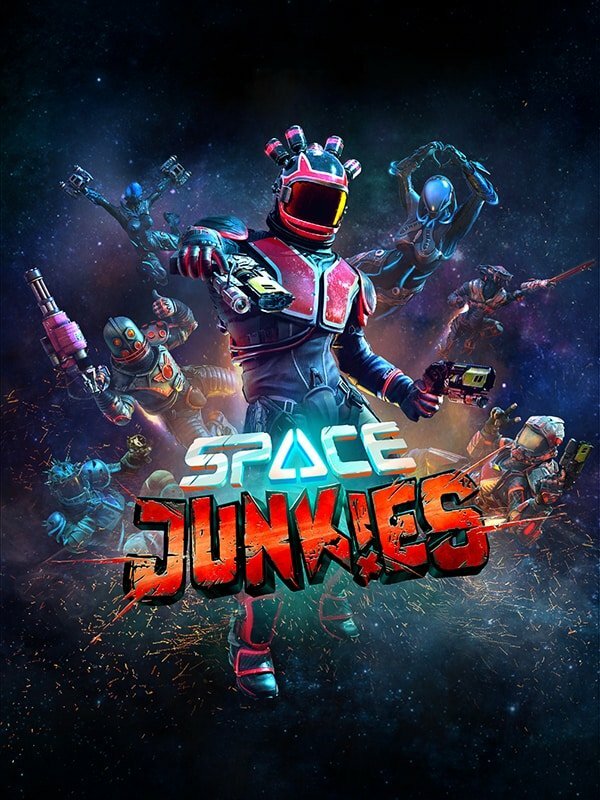 As of right now, Space Junkies is at the very least, is a must try for owners of the PSVR headset. A copy of the game was Publisher Supplied Pre-Release for this review. You can find additional information about CGMagazine’s ethics policy on our policies page.